Finding the right Statesville shutter company is the key to success for creating a look that you can love, for years to come. Here at Sweet Shutters and Shades, we have over 20 years of professional expertise backing up the head of our team, owner Diane Sweet. It goes without saying that we take this line of work seriously and that is evident in the results that we are able to deliver for each of our customers. Our Statesville window blinds and shutter company offers a wide variety of important services so that you can get the results that you want, need and deserve for your window treatment project. That also means using reputable and established industry names like Hunter Douglas and Norman, to get the job done. This is one of the best ways to ensure that you end up with results that will help transform your current house into the home of your dreams. What makes one shutter and window blind company in Statesville, NC better than another? There are a number of traits that help us rise above the rest, such as quality workmanship, product excellence and, above all else, a die hard dedication to our customers. The best way to find out what makes us number one, is to let us show you in person. 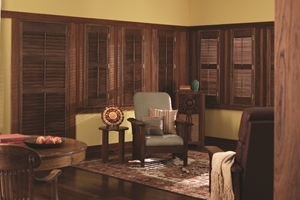 One of the options that you have for dressing your windows is shutters in Statesville, NC. 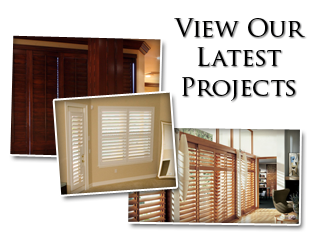 At Sweet Shutters and Shades, we offer both polycore and plantation shutters. Of course, what the average consumer wants to know is what makes each of these different and which one would be best for them. This is one of the many topics that we can discuss more in depth, during your free in-home consultation. During this consultation we bring the showroom to you. This enables us to show you the options that you have, but in the comfort of your own home. What better way to determine if something will look good in your home than by looking at it, in your own home? Wood Blinds – The look and richness of real wood simply cannot be beat. This is a wise investment because it will increase the property value of your home, as well. Faux Wood Blinds – If you love the look of wood but not the upfront cost, faux wood blinds would be perfect for you. These are just two examples of what we have to offer here at Sweet Shutters and Shades. We also carry vinyl blinds, mini blinds, and aluminum blinds in addition to our other window coverings such as shades and draperies. Get in touch with us today so that we can provide you with the service excellence that you deserve. 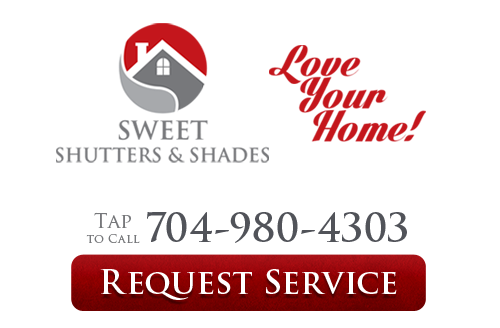 If you are looking for an experienced Statesville shutters or window blinds professional then please call 704-980-4303 or complete our online request form.